so recently ive been looking for a great way to make my first bike look awesome, well i went along and bought 2008 R1 fairings for the bike and molded it with the existing fairings. 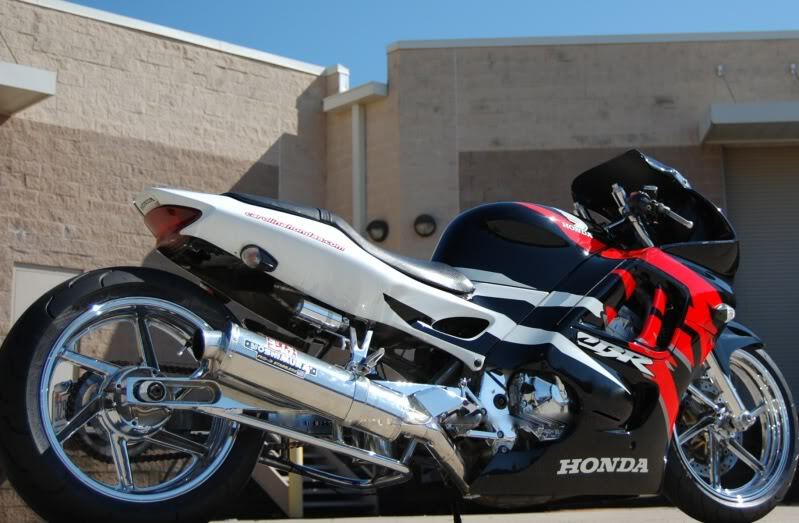 but now i really want to lower the bike to an extreme level im only 5'3 so the bike is already more than enough for me... if anyone help show me how to lower the bike to the hieght of the picture please at least point me in the right direction. Lowering link for the rear shock and then raise the forks a few inches. Done. Thanks man now for a better question. What's a good quality lowering link.